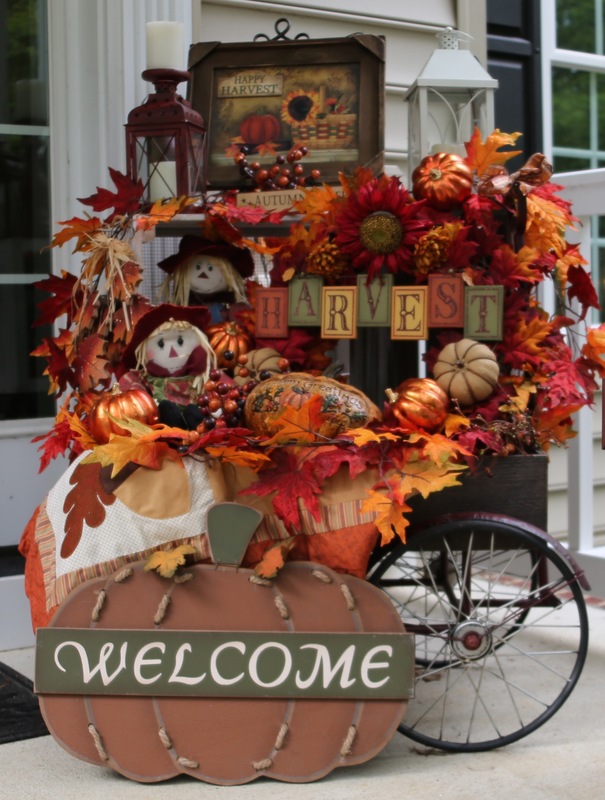 As is quite often the case, I tend to stumble upon the best country craft decor items when I’m not really searching for them. 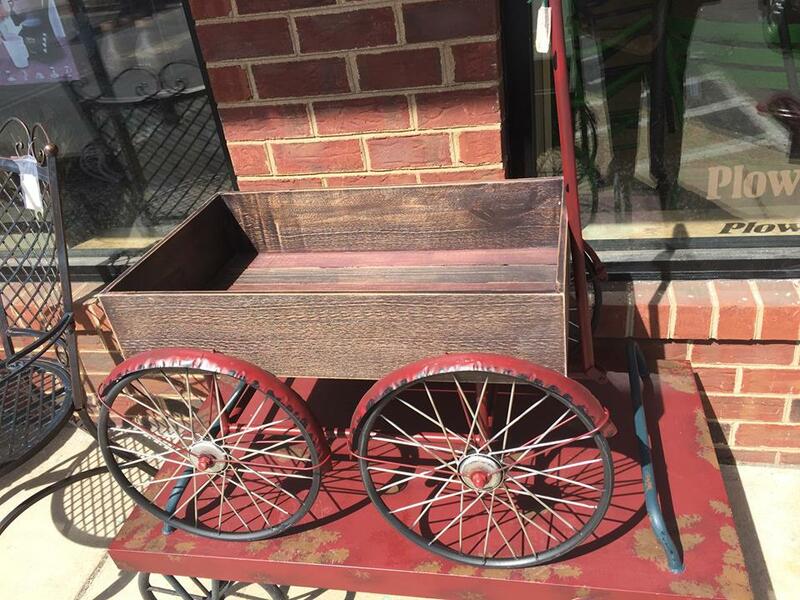 This red wagon was one such item and I found it at our local Plow and Hearth Outlet. Trust me, it took me about 10 seconds to decide to shell out the $$ for this. And yes, to let you know, it was a little pricey, <sigh>, it cost a bit over $100, but it was well worth the cost as I will utilize it greatly as each Season passes for many years to come. To say that the creative juices started to flow when I laid my eyes on this beauty is an understatement. 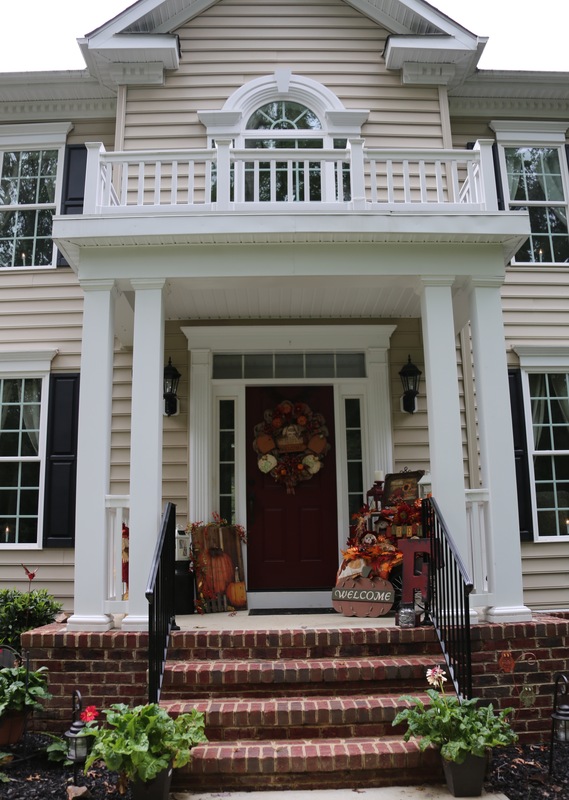 I knew that this awesome find would take permanent residence on our front porch and it would become one of my “staple” (my word for an item that remains in place as an anchor piece within or on which I build Seasonal decor) pieces moving forward in time. 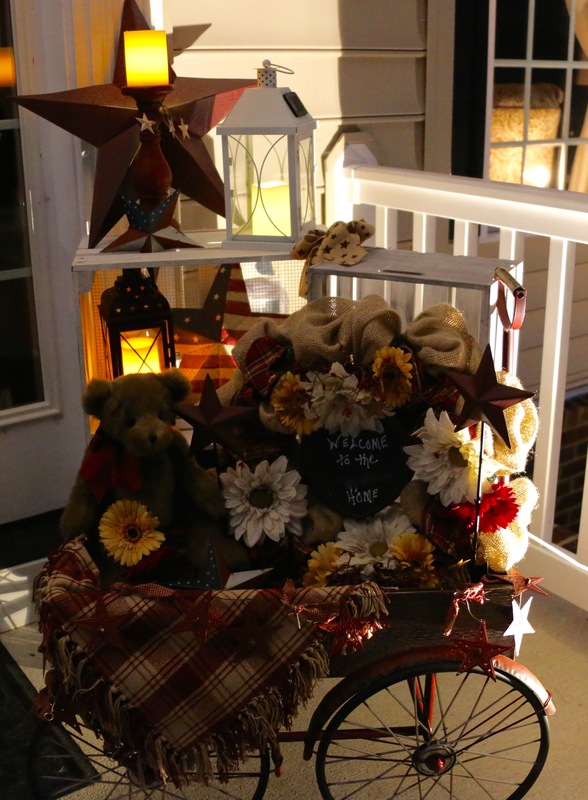 It didn’t take me long to get this sweet little wagon out onto my front porch and decorated up for the winter months. Notice the gerber daisies, I swear I use those puppies all through the year because I love them so much. 😉 Regardless, I did utilize my grandmother’s milk can by placing a wooden crate on top of it to help me add a bit of height and structure to my grouping. 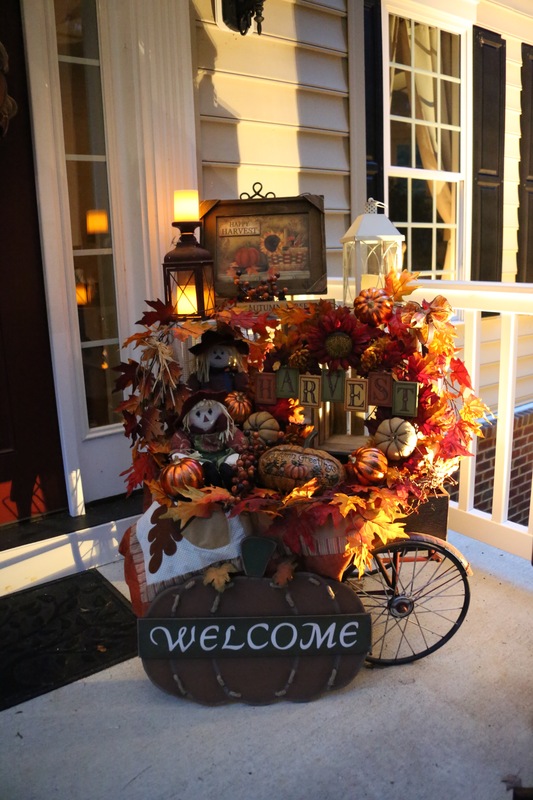 (You can see a milk can on the left side of the front door in the picture below–the one behind the wagon looks exactly like that one) I also placed another wooden crate on the back corner edge of the wagon, again to help with height and to add interest and depth to the final decor. Those crates and that milk jug have become staples for each and every wagon grouping that I’ve created so far. Knowing me though, I will eventually use different staple items to change up future groupings within the wagon, but for now, I’m quite happy with the diversity that the milk jug and crates provide while bringing all of the finalized creations to fruition. As far as the grouping inside and around the wagon goes, I truly just gathered a bunch of stuff out of bins that hold all of my extra generic country decorating items, hauled them all out to the wagon and started placing them in the wagon and on and in the crates. 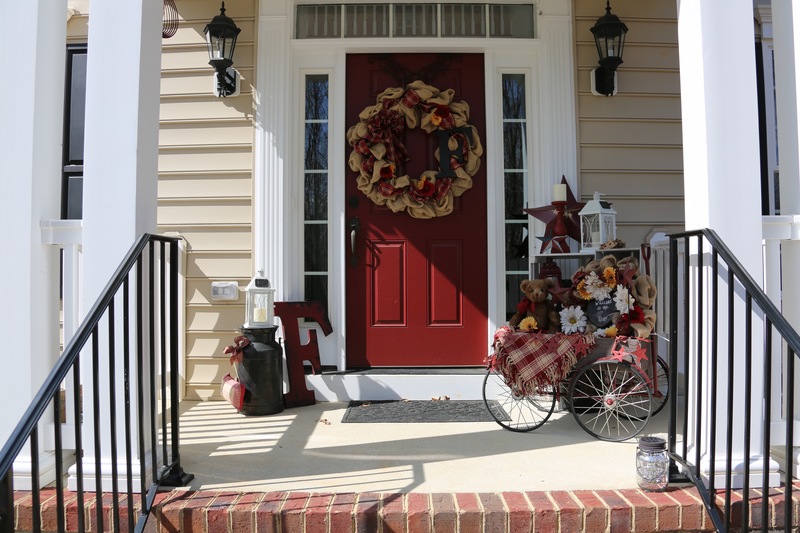 I placed the red and white plaid throw blanket first, then the wreath and bear which is sitting on a little red stool, and then I added the other items. A couple of lanterns (one of which is solar and I have a battery operated candle in the other one) rounded out this grouping. Oh, one more thing, there is a battery operated candle sitting on the large burgundy candle stick that is sitting on the crate and in front of the big star. Patriotic decorations are some of my very favorite items with which to utilize. And there are times of the year that I will pull out the patriotic decor just to have something different to gaze upon. I decorated the front of our home with a patriotic theme starting on Memorial Day and I left it up until after the 4 of July. The first thing I did was to make a new burlap wreath. 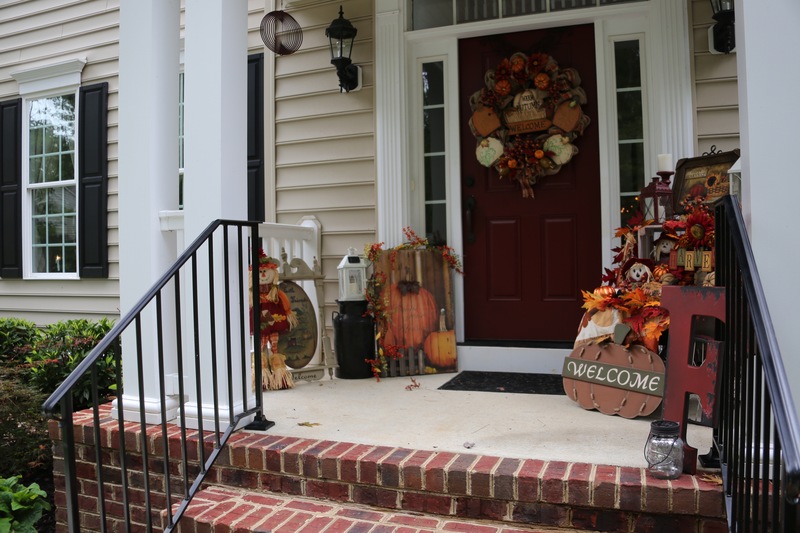 What did I do when I found myself between Seasons (after Labor Day but before Fall decorations go up) and I was itching for a change of decor for out on the front porch? Well, to start with, I decided to make yet another wreath, there it is on the door behind Samson and me. I found that large “Count Your Blessings” fence plaque (sitting on the left of the front door) in Hobby Lobby for 40% off. I made a new burlap wreath to finish everything off and it all came together quite nicely. 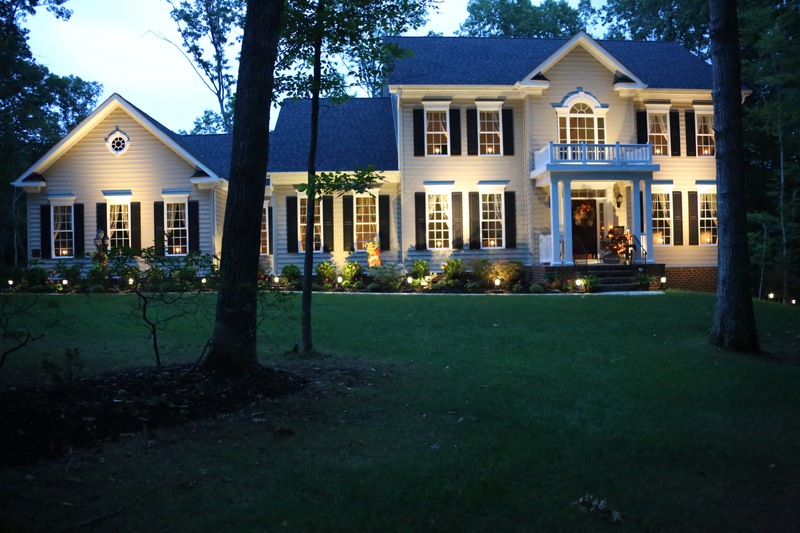 Here are a couple of pictures of the Fall adorned house at dusk.